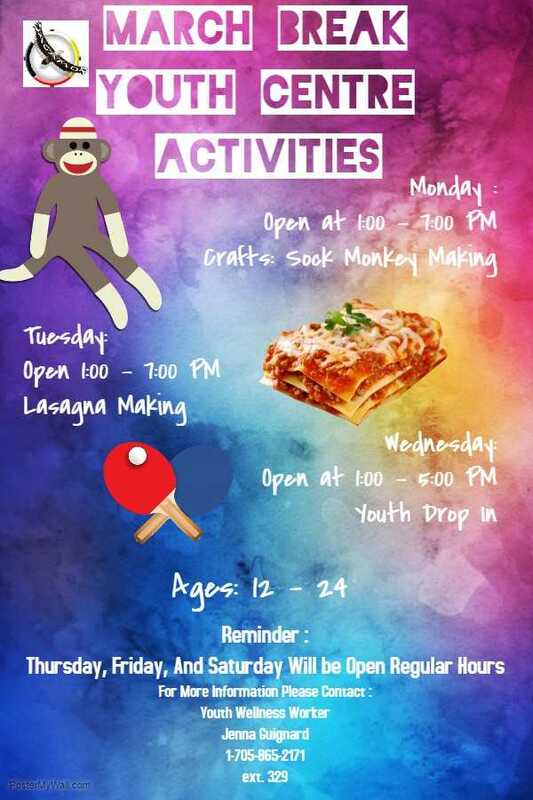 Monday, March 12 CRAFTS: MAKING SOCK MONKEYS from 1-7pm at the Youth Centre. This event is for youths between the ages of 12 - 24 years. 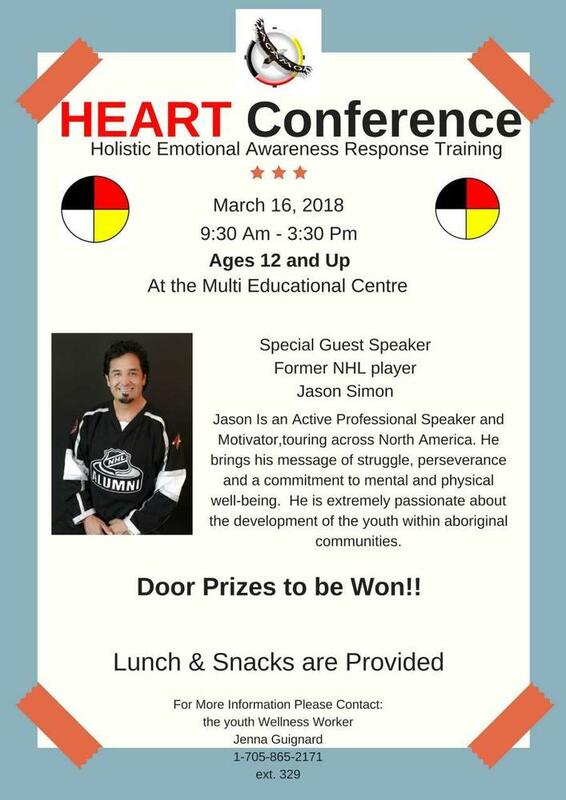 Wednesday, March 14 YOUTH DROP IN from 1-5pm at the Youth Centre. Mondays YOUTH ADDICTIONS TALKING CIRCLE from 4-6pm at the Youth Centre (512 Cedar Street). For grades 6, 7 & 8 students. Transportation provided from Biidaaban Kinoomaagegamik to the Youth Centre and then home afterwards. Participants will enjoy dinner and fun activities while learning in a Circle setting. This is a safe, culturally based environment facilitated by Community Workers and Traditional Teachers. Parental Consent is required. 17 spots available. 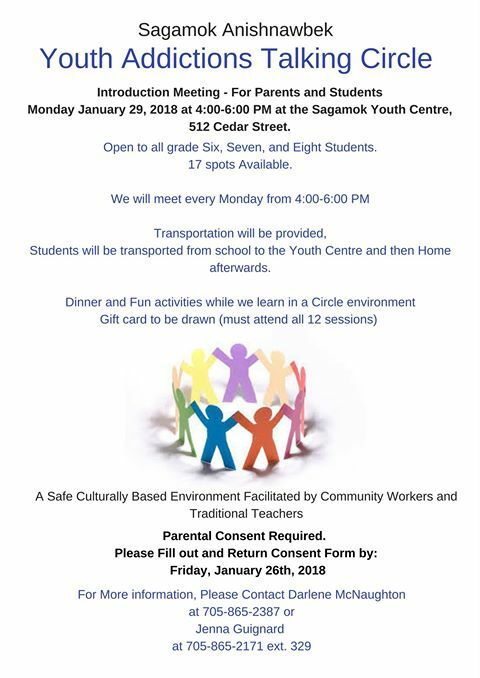 For more information, please contact Darlene McNaughton, Student Mental Health Worker at (705) 865-2387 or Jenna Guignard, Youth Wellness Worker at (705) 865-2171 ext.329. 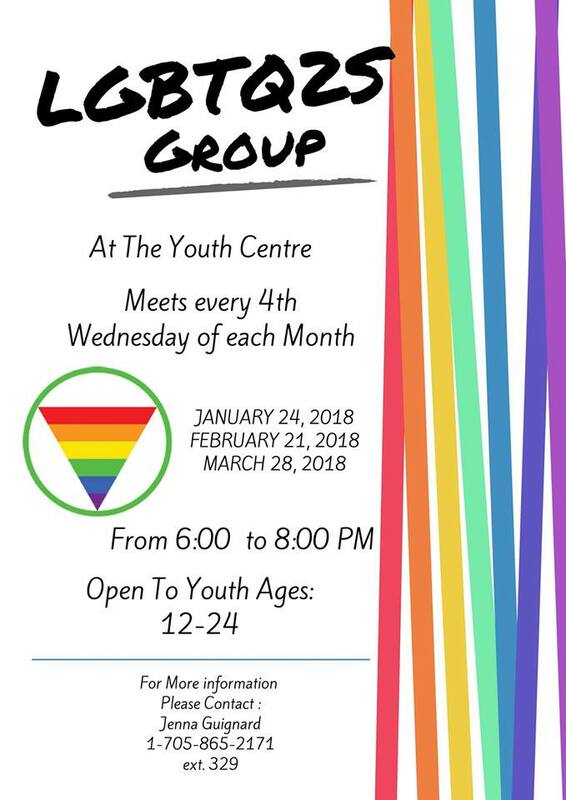 4th Wednesday LBGTQ2S GROUP (ages 12-24) from 6-8pm at the Youth Centre for youth. 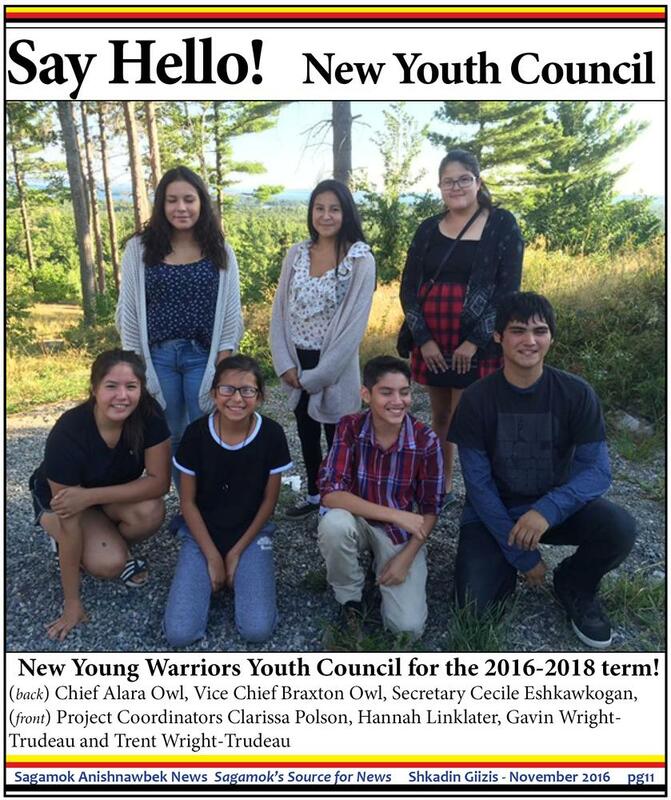 For more information, contact Jenna Guignard, Youth Wellness Worker at (705) 865-2171 ext.329.